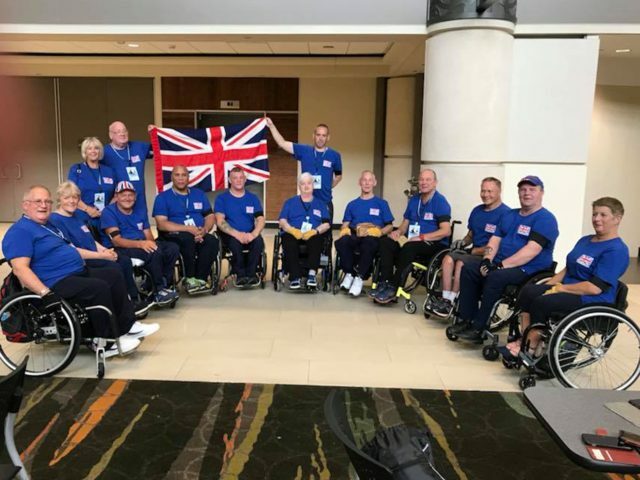 ABF The Soldiers’ Charity are pleased to award the British Ex-forces Wheelchair Sports Association (BEWSA) with a grant of £8000 to go towards helping the charity assist veterans with access to mobility aids. 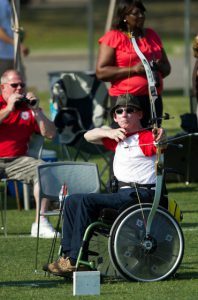 Since the end of the Second World War, spinally injured veterans have been using sport as a key part of their rehabilitation because it offers a way for veterans to find others who have lived through similar experiences to them whilst using teamwork to achieve a common goal – to win at sport. In 1987, the American group, Paralysed Veterans of America, were creating their own games where only disabled veterans were taking part. A small group of disabled British veterans heard of these games and decided they too would compete. Upon their return, they founded BEWSA. 2012 became a memorable year for BEWSA because they celebrated their 25th birthday as well as having the London Paralympic Games on home soil where they had members represent Great Britain. Over the years, BEWSA have opened up their support from just helping spinally injured veterans to also supporting veterans who have other disabilities which may mean they need additional assistance. Today, BEWSA have members competing in shooting, basketball, swimming, archery, weightlifting, table tennis and more. The grant awarded to BEWSA will be used to help elderly veterans receive the right access to mobility aids that they may need. Having this kind of support is vital towards helping elderly veterans maintain their independence and help them in their everyday mobility.